Mexico found out their fate today in the U-20 draw for the U-20 World Cup. The summer tournament will take place in Turkey, and Mexico will begin their journey as a part of group D.
Greece, Paraguay, and a yet to be determined African national(Egypt, Ghana, Mali, or Nigeria) will play with Mexico in group D.
The tournament will begin on June 21 and the final will take place on July 13. Mexico will play in the 2013 Toulon Tournament. They are in group B with France, Portugal, and Nigeria. Mexico is the defending champion. 2013 U-17 CONCACAF WCQ will begin on April 7th for El Tri. Mexico is in group D with Cuba and Honduras. Tijuana continues to make history. They defeated Millionarios (Colombia) on the road, as well as a major victory today over world champion Corinthians (Brazil) in the Copa Libertadores. Los Xolos remain undefeated (3 wins, 0 draws, 0 losses) in the tournament. Toluca failed to make an impact, as they tied Barcelona (Ecuador) 1-1. They were defeated in the previous game to Nacional (Uruguay) at home. Mexico was thought to meet in Houston against Turkey. However, the game was not never confirmed. Mexico will now face Nigeria in Houston on May 31st. The match will be more interesting, because both teams will be in the 2013 Confederations cup. ESPN has announced they will show select Liga MX games in english. Richard Sánchez, Francisco Flores, Bernardo Hernandez, Hedgardo Marín, Antonio Briseño, and Jose Carlos Van Rankin were added to the 2013 CONCACAF U-20 “Team of the tournament.” Jésus Corona was not added, although he was easily Mexico’s most explosive player. Captain, Antonio Briseño, was named MVP of the tournament. The USA and Mexico U-20 squads were easily the best teams of WCQ. They would collide in Puebla, in order to crown a regional champion. 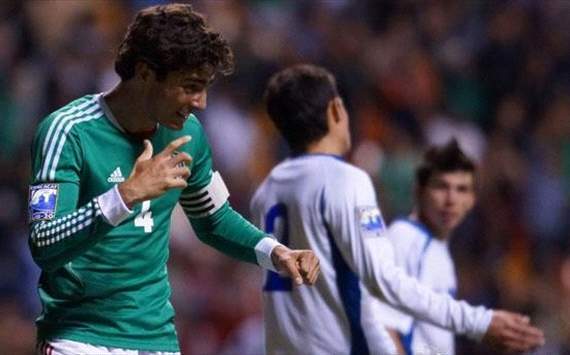 Mexico is the previous champion, with a 2011 U-20 sweep of the CONCACAF. The game started off with fireworks. In the 4th minute, Corona dazzled when he split the American defense, and chipped in the first goal. The celebration was very short lived, when the referee felt that a Mexican touched the ball in the box four minutes later. Benjamin Joya took the penalty and gave the Americans an equalizer. The game was very much back and forth, though Mexico was in control for most of the game. The USA keeper, Cody Cropper, deserves much praise as he was solid all night. If he didn’t make a few clutch saves, the U.S. could have seen a multiple goal defeat in regular time. Moreover, the U.S. would fight very valiantly against Mexico, and the game needed extra minutes to crown the champion. Mexico came out in extra time with a lot of energy. They created several chances, but again, could not get past Cropper. It was the 99th minute when Mexico was given a corner. The kick found its way into the box, and Julio Gómez did a beauty of a bicycle kick to score Mexico’s second goal. 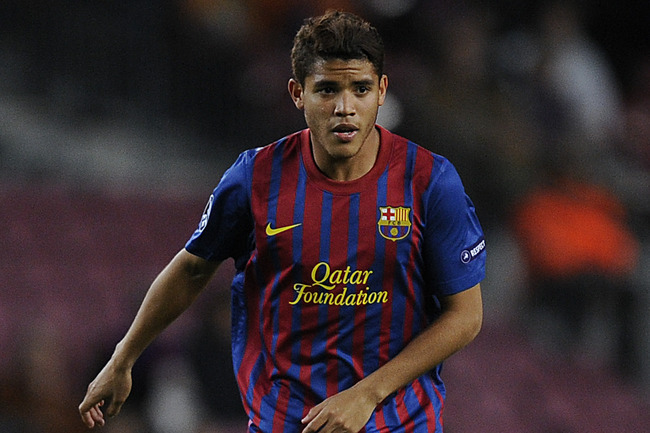 The goal was eerily similar to his goal against Germany in the 2011 U-17 World cup. Mexico from then on was completely dominant. Just a few minutes after the Gómez goal, Corona won a penalty, and Esperícueta scored the third with ease. Much credit to the Americans. They did not lay down and let Mexico cruise to a victory. It was a perfect rivalry style match, and with many scrums throughout the game…this rivalry looks like it’s going to stay. With mixed results in the qualification, many had fears of an upset by Jamaican foes. For example, Panama was a heavy favorite against El Salvador, but the Salvadorians put a 3-1 hurting on the Panamanians. However, Mexico assured the fans no upset was in store. In the 12th minute, Zamorano shot a rocket which found the back of the net for El Tri. The lead gave Mexico some comfort room, but the crowd knew another goal would solidify a trip to Turkey 2013. Marco Bueno did just that. A lofting cross found Bueno right on the forehead for the 2-0 lead into the half. Mexico was clicking on all cylinders. The goal of the game was easily #3. Flores took a free kick, which the ball curved absolutely perfectly past the Jamaican keeper. To wrap it up (as if the game wasn’t already in the books), Escoboza scored the last goal in the 75th minute. Mexico is now guaranteed a spot for the World cup this summer. Yet, up next is a rematch against El Salvador (March 1). The other match up will be Cuba vs USA, which both teams have looked sharp. Mexico’s U-20 showed up to the group stages as major favorites to advance…and they showed exactly why. In the match against Curaçao, Mexico put three goals in during the first half. After that point, Mexico easily controlled the game, missing a few solid chances, but never giving Sánchez any major worries. Heading into the El Salvador match, El Tri only needed a tie to advance on top of the group. The game started and ended with Mexico in top shape. El Salvador would get an eventual counter every couple minutes, but Mexico’s defense was too tall, strong, and quick for the Salvadorian rivals. Escoboza put Mexico in the lead during the 15th minute after heading in a cross from Gomez. El Tri would have a few good looks at goal, but went into the half up 1-0. In the second half, Mexico was given a dangerous free kick, which Julio Gómez flicked in with the back of his head. To wrap it up, Antonio Briseño copied Julio, and headed in another free kick in the 87th minute. This quarterfinal knockout round is the most important, as Mexico will go up against Jamaica. During group stages, Jamaica beat Puerto Rico 4-1, but then was embarrassed against Panama 0-4. However, at this point in WCQ, El Tri cannot take anyone lightly, but if they stick to their game…Hello Turkey.